In this age of excess, sometimes it is good to give something back. Instead of following the conventional route for your wedding gift list and favours, why not make a charitable donation instead. Choose how much you want to donate and receive beautiful personalised Thank You Wedding Cards for tables. Alternatively, you may prefer to choose from our quality favours presented in organza gift bags. You can view some of our wedding favours online here. 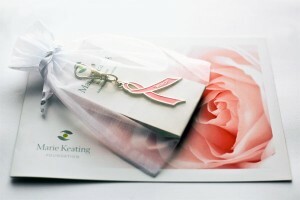 If you would like to enquire about wedding favours,please email info@mariekeating.ie or call 01 628 3726.